Jolene is a Registered Social Worker (#09027) with the BC College of Social Workers and an active member of the BCASW. She has been practicing in Kamloops since 2005, working primarily in Mental Health and Substance Use services. 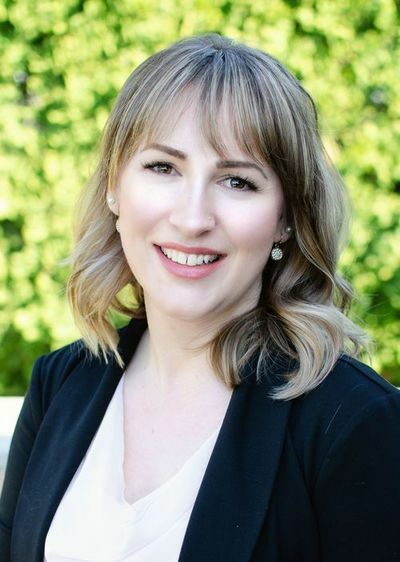 Jolene has a Bachelor’s Degree of Social Work from Thompson Rivers University and a Master’s Degree of Social Work from Dalhousie University. She has extensive practical knowledge of the psychiatric system and treatment modalities (CBT, DBT, Biopsychosocialspiritual models, etc.) for mental illness, with specialization in concurrent disorders. Jolene has advanced training in Motivation Interviewing, which is incredibly effective in assisting those with substance use struggles and has been a local facilitator for Core Addictions Practice training since 2012. Jolene also has training and experience in Adult Education, Indigenous Cultural Competency/Cultural Sensitivity, Suicide Prevention/Intervention/Postvention, Child and Youth Mental Health and Substance Use, Sexual Assault Response, both clinically and administratively and Field Instruction for BSW Students. Jolene will also be specializing in Children’s Grief and EMDR for trauma treatment. Jolene was born and raised in Kamloops, BC. She appreciates the warmth and connectedness of this community, as well as the beauty of the land surrounding us. From forests to rivers and mountains to lakes, Jolene has always appreciated the opportunities the Tk'emlúps/Kamloops territory offers for pleasure, exploration, healing and growth. Jolene is grateful to be a part of the healing community here in Kamloops, feeling as though this process has come full circle in her own journey of healing. Having lost her father to suicide at the young age of 17, Jolene brings with her an integrated understanding of the complexities that grief can hold within someone. This, complimented with over 8 years of postsecondary education/training and 12 years of direct clinical expertise in mental health and substance use treatment, Jolene brings with her a comprehensive set of skills to draw from when personalizing treatment approaches and providing therapeutic healing interventions. As a social worker, she is also acutely aware of the larger systemic and structural barriers that can negatively influence a person’s well-being and will work holistically to address the impacts of these in ones’ healing journey. Person-centered and strengths-based approaches are core underpinnings to her generalist therapeutic approach. Jolene believes strongly that people truly know what is best for themselves, but they might just need someone to walk along side them to help them acknowledge it and bring it to realization. Jolene respects the importance of self-determination and honors each person’s intrinsic desire and ability to change to realize ones’ full potential. Jolene is a warm, charismatic and playful person. Humor has always held a healing and joyful place in her life. When Jolene is not working, she is enjoying her time with her husband, son, and twin girls, along with her feline and canine companions. Her childhood passion was dancing. She has always carried a love for the outdoors, camping and adventure. Her adulthood passions have evolved to travelling, creating delicious food in the kitchen and always keeping a few irons in the fire, celebrating learning as a lifelong process.